Recap: May 26, 2018 What The Truck?! 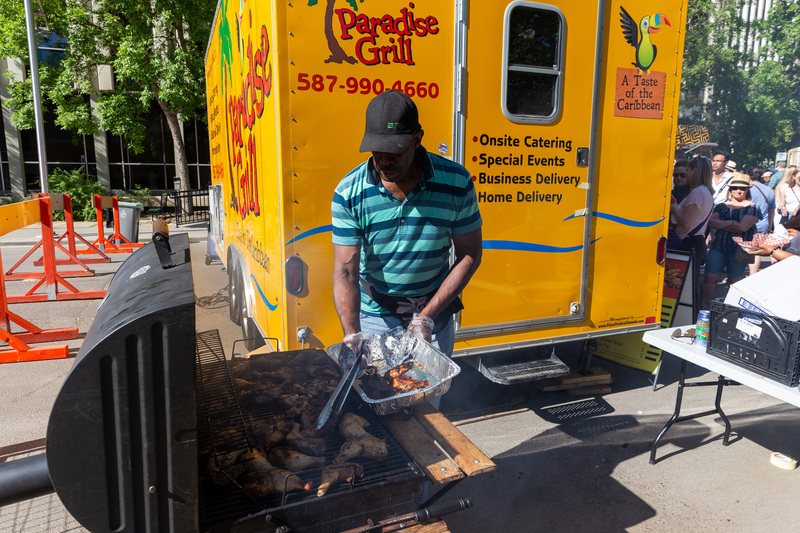 at Capital Boulevard – What the Truck?! Edmonton, you just keep getting hungrier and hungrier! Thank you to everybody who made it out to Capital Boulevard and kicking off the 2018 season with us! 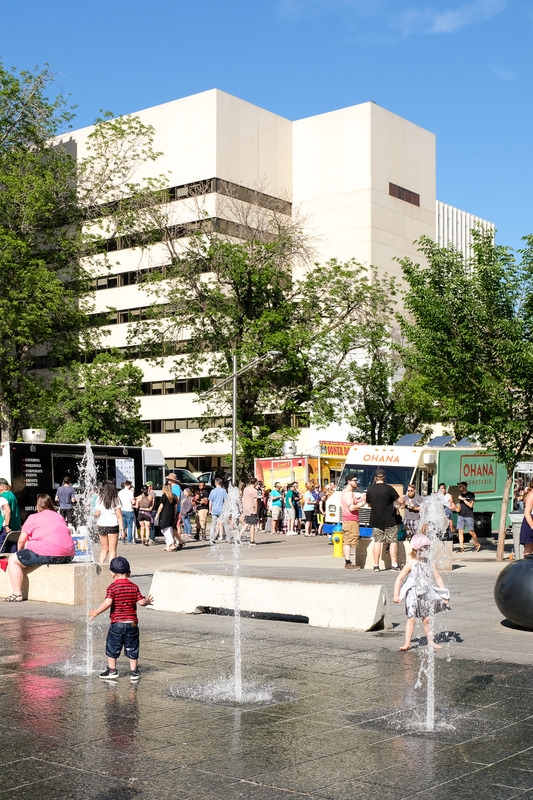 The weather was in our favour, the Legislature fountains were on, music was in the air, and you came out ready to roll! 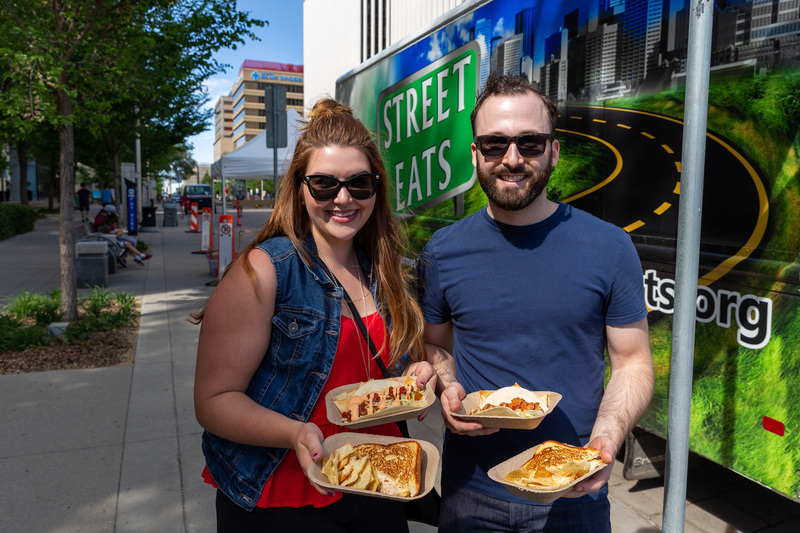 15 of Edmonton’s food trucks were able to join us for this event as we returned to beautiful Capital Boulevard. We welcomed six new members to our What The Truck?! family: Burrazo, Ohana Donuts, Pizza Noli, The Hat on Wheels, and Via Cocoa Creamery. Due to unforeseen circumstances, we’re sad to have missed Family Dough in our May event but hope to see them out on the streets this season! We’re so happy to see your response to our What The Fork?! initiative. For $1 per piece, event-goers rented utensils to use throughout the evening and reclaimed their deposit upon return of used cutlery. Thanks for helping us keep things sustainable! Thanks For Joining Us for our 2018 Season Kick-Off! 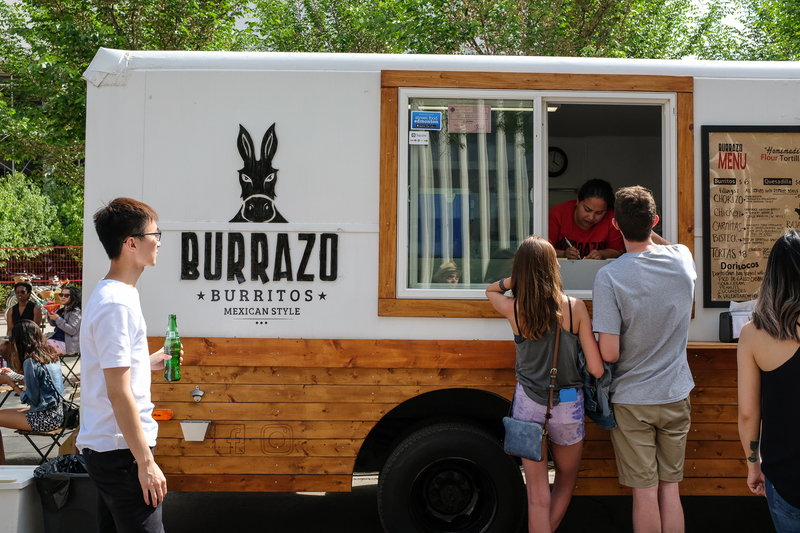 Burrazo at What The Truck?! 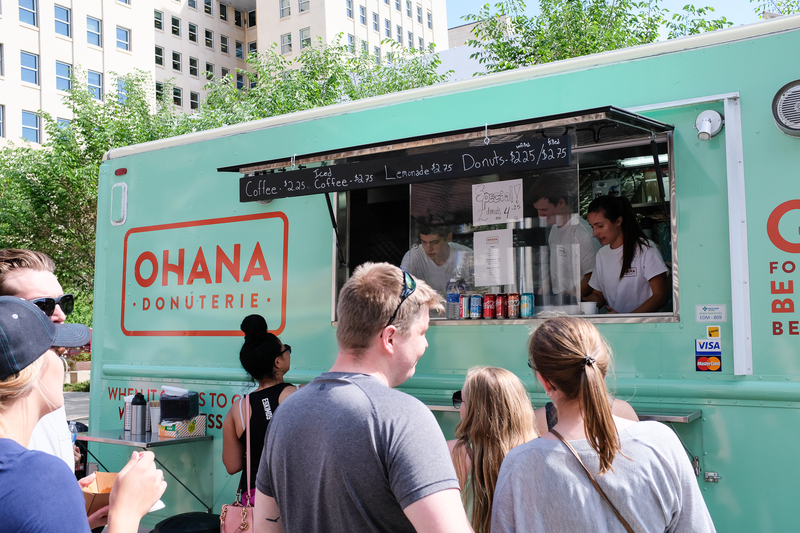 Ohana Donuterie at What The Truck?! 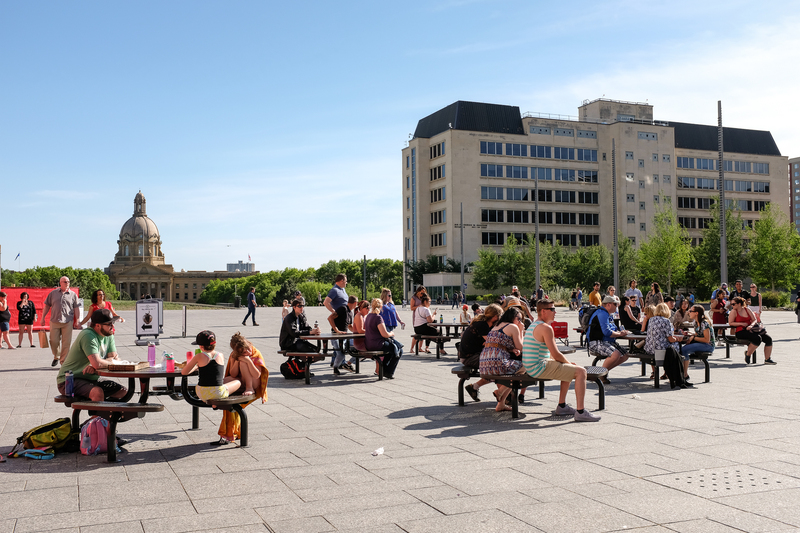 Thank you to the Legislative Assembly of Alberta for turning on the fountains early this season and for organizing our live entertainment. Instrumental surf band, The Tsunami Brothers got the crowd dancing and cheering! 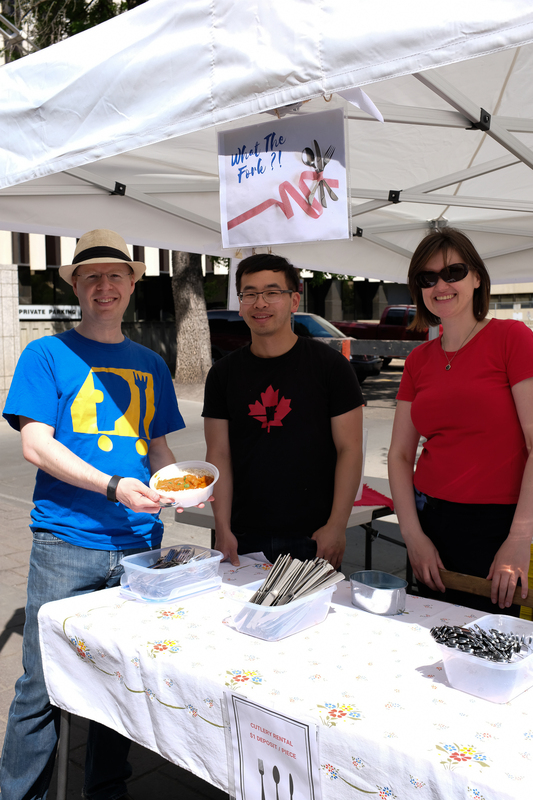 We’re always happy to have Edmonton’s Food Bank at our events. Thanks to your donations, we raised 131 kg in food and over $300 to help their cause. Way to go guys and keep ’em coming! This year we wanted to thank those who donated and entries were provided for a chance to win the Golden Ticket! 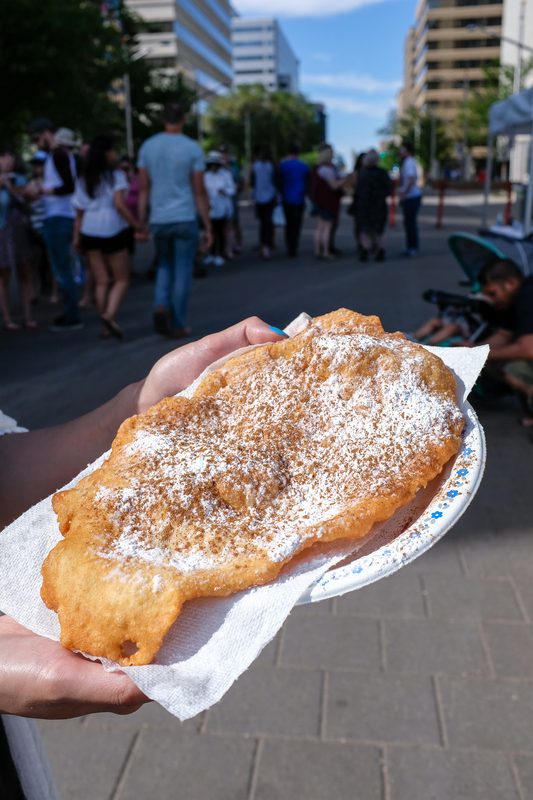 Congratulations to Christine S., you and three friends will have VIP seating at our next event at the Edmonton Valley Zoo on July 6th and be escorted to the front of the line at our trucks. Don’t worry about seating or lines, we got you! Edmonton Food Bank at What The Truck?! BIG thank you to our amazing volunteers! They help us with answering your questions, keeping the site clean, and making sure our events run smoothly. If you’re interested in volunteering for a future event, submit your email and we’ll let you know of volunteering opportunities! Thanks to Our What The Truck?! Volunteers! We’re already working hard for our next event. Make sure you subscribe to the What The Truck?! newsletter, and follow us on social media (Facebook, Twitter, Instagram) for more news. July’s truck line-ups will be out before you know it! Join us on Friday, July 6, 2018 as we take over Edmonton Valley Zoo for the first time. RSVP and share the date with your friends now! EVENT ORGANIZERS, SHARE YOUR DATES! 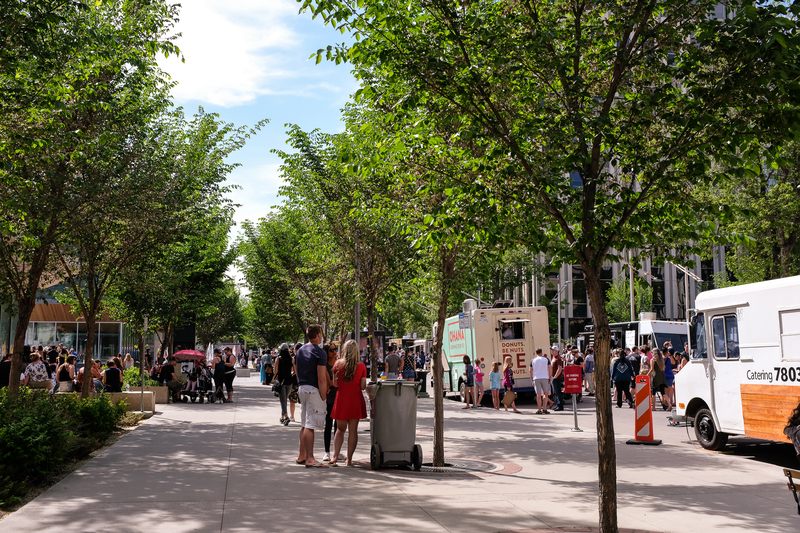 If you have an event coming up that includes already booked food trucks – you can fill out our Share Your Event form (preferably at least a week in advance!) and we’ll share your event and dates on our social media! If you have an event coming up and need food trucks, you can fill out our Book the Trucks form. We’ll help you spread the word with our What The Truck?! food truck family! HAVE A FOOD TRUCK? JOIN THE WHAT THE TRUCK?! FAMILY! If you’re a food truck, it’s never too late to become a verified member. Receive vendor opportunity emails from our Book The Trucks form, have the opportunity to participate in future What The Truck?! events, and enjoy many more membership benefits!